There is a number of beautiful places to visit in Dubai for free! Here are several places that you will want to check out if you get a chance to visit Dubai! The Dubai Fountain is located at the foot of the Dubai Mall submerged on 30 acres in Burj Lake. The strategically placed water jets are laid out over an area comparable to two football fields laid side-by-side. 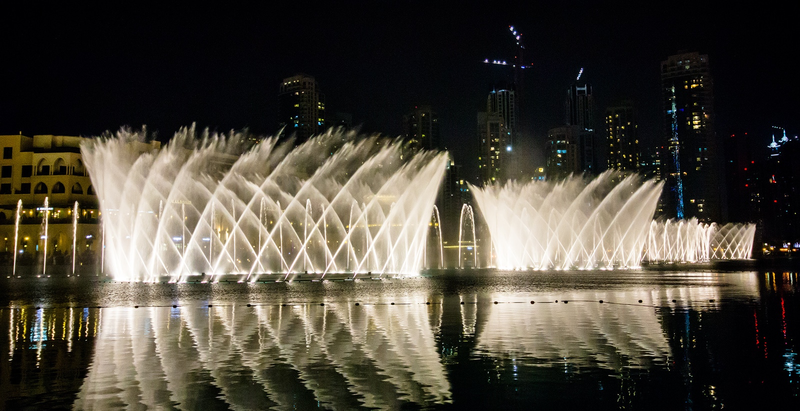 The Dubai Fountain is guaranteed to be a favorite stop in your visit to Dubai! The beautiful fountains are a brilliant display of water, music, and lights. The five circular fountains have twenty projectors that show off their beautiful colors as they reflect off the water and transform into a unique and fantastic show of water and color. The colorfully illuminated jets are choreographed to move gracefully to some popular songs, such as Michael Jackson’s “Thriller” and Bocelli’s and Brightman’s song “Time to Say Goodbye.” The jets of water will mesmerize you as they dance to the beat of the music! The fountain sends water soaring to heights of 140 m and uses 22,000 gallons of water making it the highest fountain in the world. Shows start at 6 PM daily and start over every half hour after that! For an even closer look at the fountain’s check out the new Dubai Fountain Boardwalk which allows visitors to stroll along a 272 m floating platform that is just 9 m away from the fountains themselves. The spectacular view and atmosphere will amaze you! 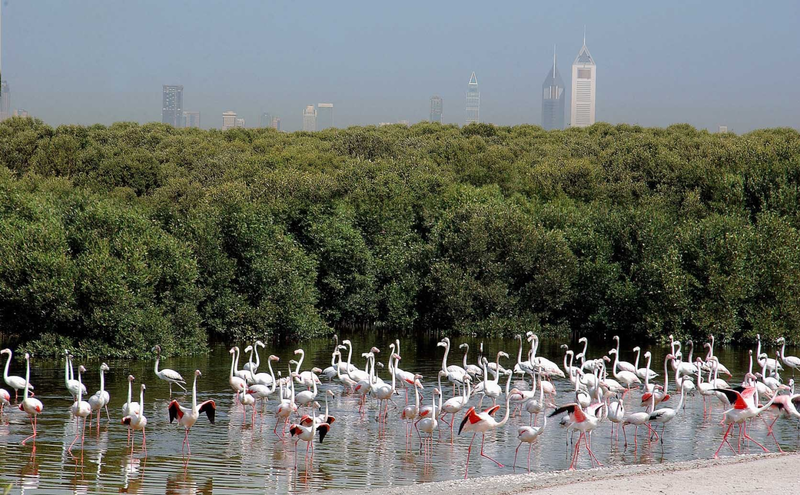 Located in the wetlands just outside of Dubai, the Ras Al Khor Wildlife Sanctuary is free to the public and offers a chance to see many birds up close. Although you will also find crustaceans, mammals, fish, and many species of birds there, it is the flamingos that seem to get the most attention. Some other birds you will find at the sanctuary include osprey, black-winged stilts, sandpipers, reef herons, grey herons, great egrets, and cormorants. They Dubai Municipal has charge over the sanctuary but has three open areas where the public can observe the wildlife for free during certain hours. The 6 Km reserve has a mixture of salt flats, intertidal mudflats, mangroves, and lagoons. These make for excellent places the birds to build their nests and make individual habitats. The Ras Al Khor Wildlife Sanctuary is a little hard to find but well worth the extra effort required to get there. It is a fantastic place to observe and enjoy nature! If you are an art lover, you will not want to miss visiting the Sharjah Art Museum. This three-story museum is open Sat -Thurs. from 8 AM to 8 PM and on Fri. from 4 AM to 8 PM. Admission is free. They offer free guided tours in both Arabic and English upon request. The mission of the museum is to preserve collections and enhance an appreciation of culture and learning through their exhibits, educational and community programs. The museum hosts temporary exhibitions as well as having a variety of permanent art collections. They offer regular programs an workshop throughout the year to educate and help the community develop a love for fine art. 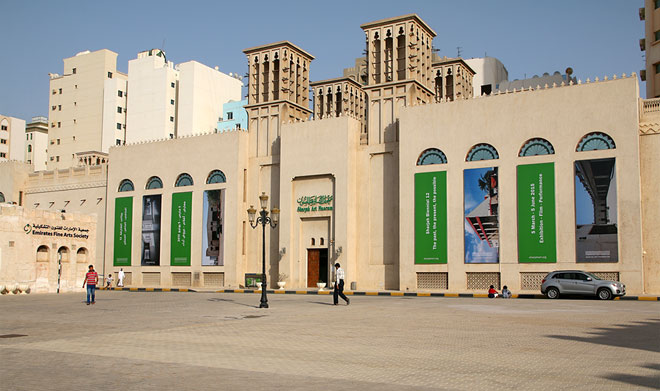 The Sharjah Art Museum is known for having the most extensive art exhibitions in the Gulf Region. They feature paintings and sculptures from renowned artists, such as Mohammed Yusuf and Louay Kayali. If you have a love for art, you will find some of the best art in the world at the Sharjah Art Museum! 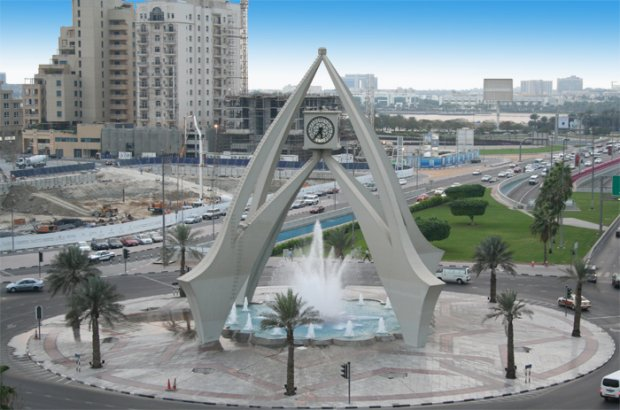 The Deira Clock Tower was originally built in 1963 after Sheikh Rashid received a rather large clock form, Sheikh Ahmed. Not quite knowing what to do with such an enormous clock, it was decided to be used as part of a tower to make a gateway to the Maktoum Bridge. It was the first land crossing constructed between Deira and Bur Dubai. Architect Ziki Homsi designed the clock tower. This structure not only connected the areas but was the first significant structure seen by travelers arriving overland. Originally the used unwashed beach sand in the concrete which began to crumble over time because of the salt content in it. The tower had to have significant repairs in the 70’s. It is an impressive architectural structure, and a must see when traveling to Dubai. 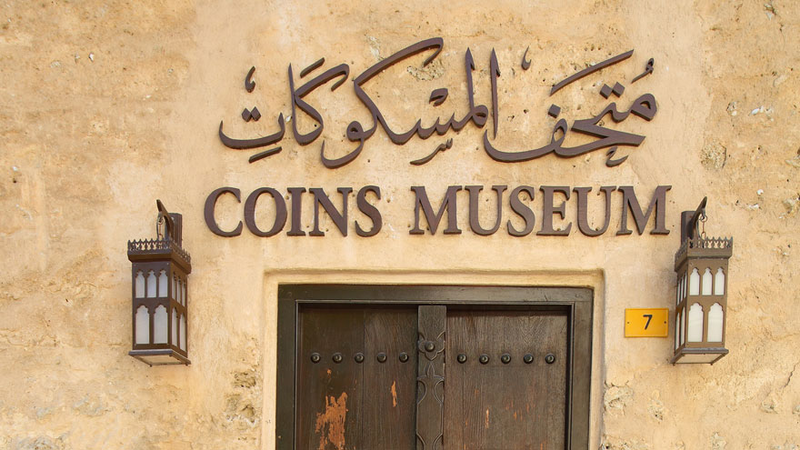 The Coin Museum is located in the Al Fahidl Historical Neighborhood and has over 470 historic coins representing several eras of history and nations. The two-story museum consists of eight main rooms. Each coin has a specially designed display case that magnifies the screen for better viewing. There is also a touchscreen that gives detailed information about each coin. The museum has free admission and is open Sunday – Thursday from 8 AM to 2 PM. They are closed on Fridays and Saturdays. The first room has been dedicated to the history of coins and is packed with excellent information about how coins were made and much more. The second room has sixteen coins from the Arab- Sasanian Dirhams that were used in the age of the Rashidun Caliphate and the Umayyad Caliphate. The third room contains 64 Dinars and Dirhams used in the Umayyad Caliphate. The fourth room has 115 pieces of Dinars and Dirhams used in the Abbasid Caliphate. Room five has 45 coins minted in Egypt, Turkey, and the Levant. The sixth room has 91 coins minted in Iraq and the Islamic Orient Region. The seventh room has 22 pieces of coins minted in North Africa and Andalusia. The last room has 102 coins minted in the Arabian Peninsula and the United Arab Emirates. If you love old coins, then this is the right museum for you to explore! You will enjoy looking at the old coins and learning more about their history. The Dubai Trolley is the world’s first hydrogen and electric powered trolley with zero emissions. These beautiful red trolleys are double-decker and can hold a maximum of 50 passengers at once. The top floor is open, and the bottom level is airconditioned for riders who prefer a more relaxed ride. 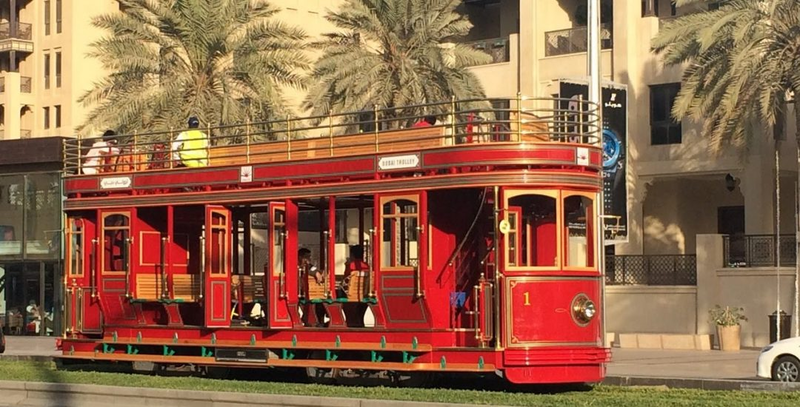 The trolley currently makes its way downtown to several tourist attractions, such as Burj Khalifa, the Dubai Mall, Dubai fountains, and Souq Al Bahar. The loop is approximately 7 km and was built in three phases costing an estimated 500 million dollars to complete. These hop-on and hop-off trolleys are sure to be an experience you will not want to miss while visiting Dubai! 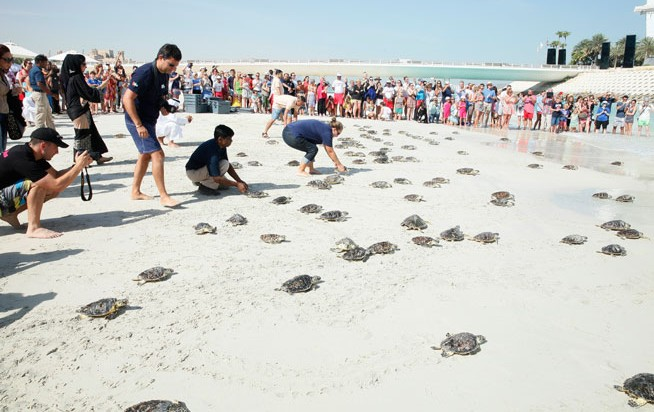 If you have young children or love turtles, then you will not want to miss the Dubai Turtle Rehabilitation Project in Jumeirah. The Wildlife Protection Office works in conjunction with a team of specialist who rescues and rehabilitates sick or injured turtles and eventually releases them back into their typical habitat. These turtles are registered as exposed to extinction, endangered or critically endangered worldwide. Currently, there are seven species of turtle on these lists. To help raise awareness about the danger, these turtles are facing people are encouraged to go to the Mina A’Salam hotel on Wednesdays at 11 AM and help feed the turtles. When the turtles are re-released into their habitat, they are released with a tag that will track their release to see their progress and viability of their rehabilitation. This gives valuable scientific information on native turtles and their movements. These fabulous towers make up 80 towers along three human-made lakes in Dubai. 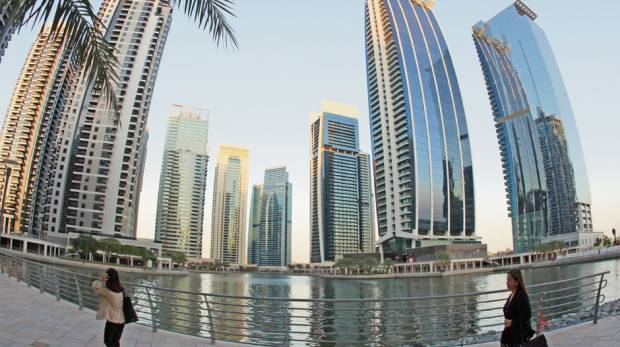 These impressive towers range from 35 to 45 floors except for the centerpiece tower the Almas Tower which has 66 stories and is located on an island between the Lake Almas West and Lake Almas East. The Almas Tower houses many commodity markets, such as the Dubai Diamond Exchange, the Dubai Gem Club, and the Dubai Pearl Exchange. These masterpieces of architecture began construction in 2006 when the first tower the Saba Tower was completed. The Wind Tower 1 and two have been under construction for over twelve years. Most of the building, however, took place in 2008. The beauty of these towers is only matched by the lakes around them. These are a must-see for anyone who likes looking at architecture in unusual settings. Why not make the day of it and have a picnic along the lakeshore as you enjoy the view? This is a beautiful place to visit for free! 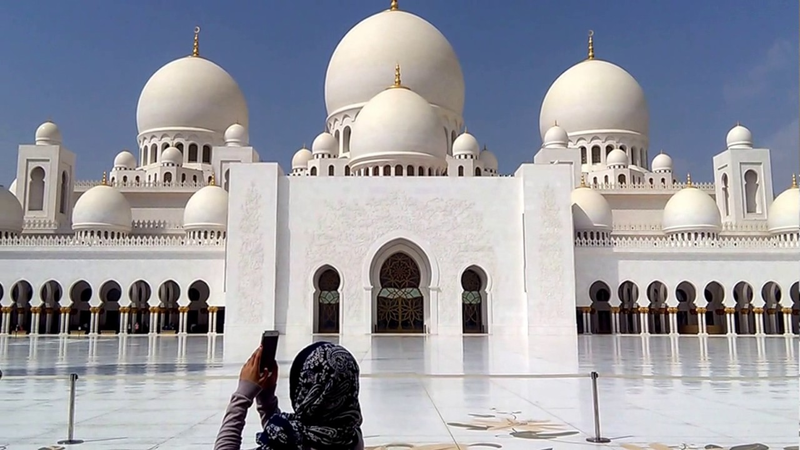 No trip to Dubai would be complete without going to see the beautiful Grand Mosque. It is one of the city’s most beautiful mosque and has a capacity of 1200 worshipers at once. The elaborate exterior is well worth a visit, even though visitors are not allowed inside the mosque itself. They can go inside the Minaret which is tallest in town and reaches a height of 230 feet. The Grand Mosque has nine domes. He asked architects from Britain, Italy, and the Emirati to help create the unique design. The mosque got its inspiration from mosques in Turkey, Morocco, Pakistan, Egypt, and other Islamic countries. The mosque at one time was an elementary school for a boy to practice reciting the Quran. It is an architectural dream come true. 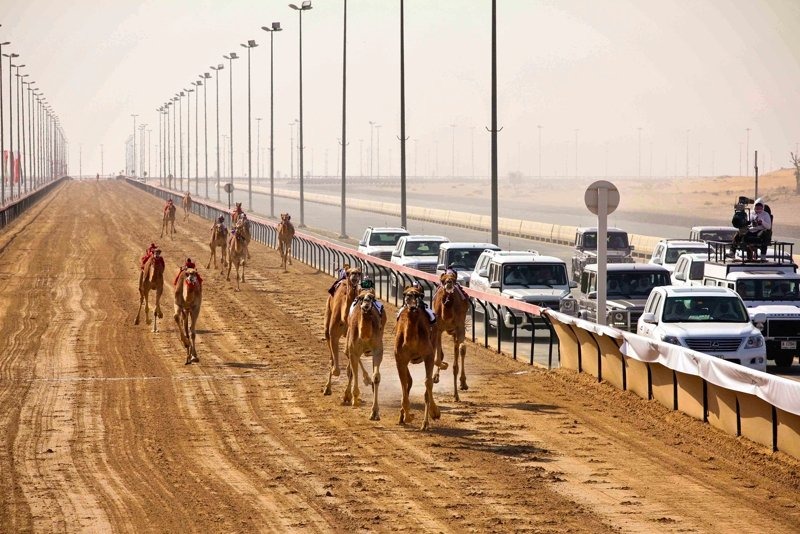 If you are looking for something fun to see be sure to check out the camel races at Al Marmoum Racetrack if you are in Dubai between September and March. Races are about 7:30 AM three or four days per week. In the summer you can catch them doing practice runs early in the morning to avoid the extreme heat. There is no cost for admission to the camel races. The camel’s race at incredible speeds and you are sure to smile while catching a race while you are in Dubai. If you prefer horseracing to camel racing or perhaps like both you can get free admission to a limited seating area at the Dubai Racing Club. The grandstand is over a mile long. The track can accommodate up to 60,000 visitors at a time. People bring their horses to race here from all over the world and not just locally. Racing season is from November 1st to April 12. While there is limited free seating available you cannot bring in food or drinks, so you should keep that in mind. No alcohol is allowed sold or brought inside. Races are in 35 to 40-minute intervals on race nights averaging seven races each night that they race. This is a fun and exciting place to visit while in Dubai. 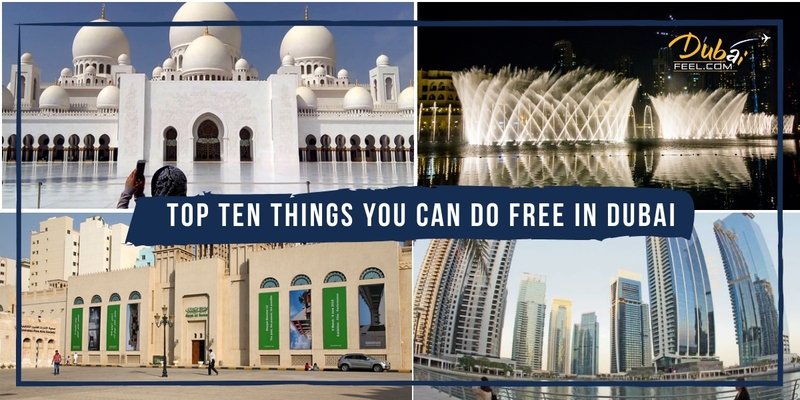 As you can see Dubai has a variety of free things to do that for the entire family to enjoy. If you are vacationing or visiting Dubai, you can certainly find something you will enjoy doing even if you are on a very tight budget and need something free to do. Dubai has quickly become an exciting place for tourists. Dubai has dozens of choices for tourists whether they are interested in history, art, architecture, or want something fun to spend a few hours doing with their friends or family. You’ll have the best amenities available in Dubai as it is a very modern city with everything a tourist could want at their fingertips and ranks high on the list of places you must see, so next time you plan your vacation don’t forget about Dubai!